American Eagle Systems, Inc. (AES) has perfected the art of the tape library audit. 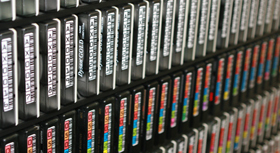 We have inventoried hundreds of millions of tapes in the world's most active tape libraries. Our proprietary methodologies, software and procedure enables us to quickly and accurately account for all tapes within your data processing environments. AES is an independent third party who prides themselves on having the ability to provide you with accurate and unbiased results. 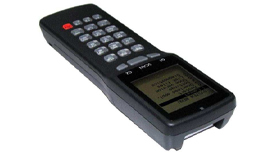 American Eagle System's teams of trained and experienced tape auditors capture every tape at every location by use of handheld barcode scanners or RFID readers. Each tape is scanned by an auditor and the tape number logged into a database. Every tape is flagged with its existing location, as well as the account/tape pool it belongs to. The scanners and auditors are non-invasive, working around your daily procedure, and typically finishing most audits within a single day. Our teams travel to each tape storage location to be sure we account for all your media. This would include Data Centers, Hot Sites, offsite storage facilities or other locations. We want to make sure you know where all your tapes are located. AES is also able to scan inside silos, ATLs, robotic units, containerized storage, Gemtracs and any other place your tapes may reside. Once you are satisfied that all your tapes have been accounted for, AES will compare our scan results to the listing of tapes you provided us for each account and/or location.